Design your own wine tote gift bag as the perfect gift for entertaining with friends. Fill this personalized wine bag with a nice bottle of wine and customize it with a great photo or monogram and your friends will be talking about it for years! 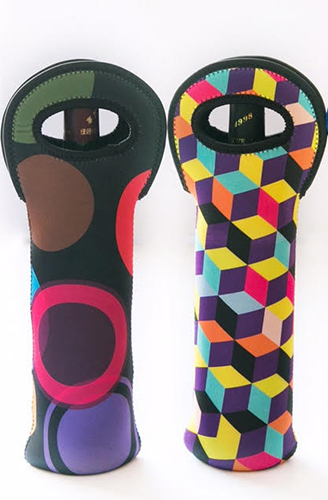 The wine tote is made of neoprene and has a black inside. This great gift holds most standard wine bottles and traditionally shaped champagne bottles. Irregularly shaped bottles will not fit in the wine tote.